Flat roofs can be incredible; they need very little maintenance, they’re multi-purpose, but they also encounter some problems more frequently than other roof types. When you’ve got issues with your roof and you need professional, fast, and skilled flat roof repair in Beaverton, don’t hesitate to schedule a visit from Pioneer Roofers. As much as we love flat roofs, we know they aren’t without their shortcomings. With proper maintenance and flat roof repair in Beaverton, they can last you for decades. With the best materials and most practiced flat roof carpenters, we can address any flat roof problems. Though we always advise regular flat roof maintenance scheduling, this isn’t always possible. Maybe you just bought a property, have had to put off repairs, or are facing the need for emergency roof repair in Beaverton. Whatever the reason, you want flat roofers who can handle any flat roof repair in Beaverton you may need. We’ve been Beaverton’s source for flat roof repair since 1994. We’ve got the experience to correctly identify your problem, and the expertise to fix it correctly the first time. No matter what condition your flat roof is in our high standards will see it functioning as good as new. Flat Roof Leaks – One of the most common problems with flat roofs is leaking. Flat roof leak repair is a must because flat roofs offer very little in the way of a buffer zone. A leak can quickly cause damage to the structure of your building. We’re highly experienced with the location and repair of flat roof leaks. If you believe you have one, there’s no time to wait. Improper Drainage – Improper drainage can lead to a number of different problems. If a roof isn’t adequately pitched or a drainage system is improperly set up it can cause water to pool or drain too close to the house. When water drains too nearby it can erode the foundation. 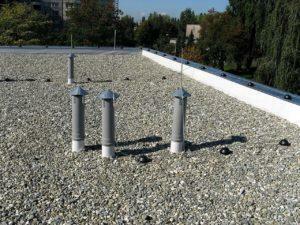 We can provide flat roof repair in Beaverton for any drainage problem. Water Ponding – When your roof is incorrectly pitched, or wear has caused it to bow in the middle, ponding can occur. If this gets heavy enough it can burst through the ceiling. We can drain the water and repair your roof. Sometimes it’s even as simple as a clogged drain, so call for a prompt diagnosis and professional flat roof repairs. For exceptional, affordable flat roof repair in Beaverton built to last, call (503) 281-0305 or Contact Us today. 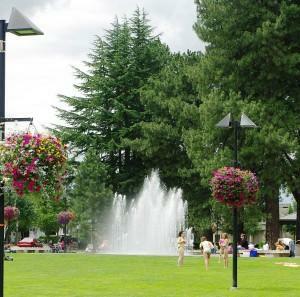 Beaverton is a great little sleeper town with a vibrant community nestled right against Portland’s borders. With easy access to the larger city structure it still has its own sense of history. This is never more evident than at the Beaverton Historical Society and History Center. Visitors can learn from local historians, asking questions, viewing artifacts, and listening to stories of local lore.